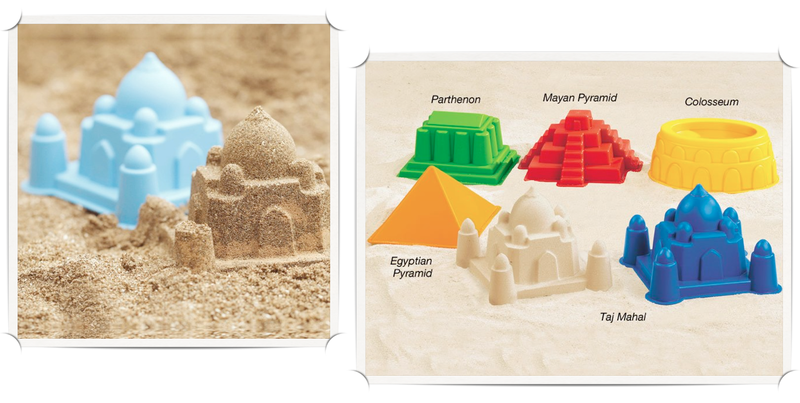 What It Is:A groovy sandcastle mold set that channels some of the world’s most legendary buildings – from the domed tops of the Taj Mahal through to the distinctive and apropos geometry of the Egyptian pyramids. Simply stuff each one with sand and build a virtual village of famous landmarks – and be sure to give your kidlet a quick debrief as to what each monument is all about. Who It’s For:Your daycare, to add to the sand and water table. Your grandkids, to have on hand for when they come visit this summer. Your niece or nephew, to make you the most beloved auntie or uncle at the family BBQ. What It Cost:$15.95. The shipping policy on this site is a bit unique as it’s meant for educational-sized orders. Shipping is 25% of your order total, but a minimum of $14. So to get the most bang for your buck, spend at least $56 total. Speaking of international flavour, how about a bonus entry into this week’s Crazy Rich Asians giveaway? Tell me in the comments below: would you pick up this fun beachside toy? They may be fun but my grandkids are too old to play with them. I would pick this up. My grandkids would love the fun shapes. These are awesome! I’m an archaeologist so anything like this is right up my alley! These would be a great gift for my nieces and nephews. I’m sure my nieces would love these! This would make a great gift for my Grand kids or the daycare at work!! I think I would pick this up. Kids love this kind of stuff!